"Instrument in the growth of the University"
We are pleased to inform you that the 2019 Search for Outstanding Government Workers has officially commenced. The revised Guidelines on the Search for Outstanding Government Workers for 2019 and Years Thereafter was promulgated through CSC Memorandum Circular No. 01, s. 2019 dated February 13, 2019 and CSC Resolution 1900138 dated February 12, 2019. 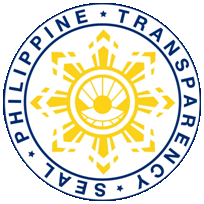 The Human Resource Development Office is proud to be part of the University who has complied with government's transparency requirements.